The company covers an area of 35 hectares, and the production line is built according to 100K class battery clean workshop requirement, which has accurate control on temperature and humidity. 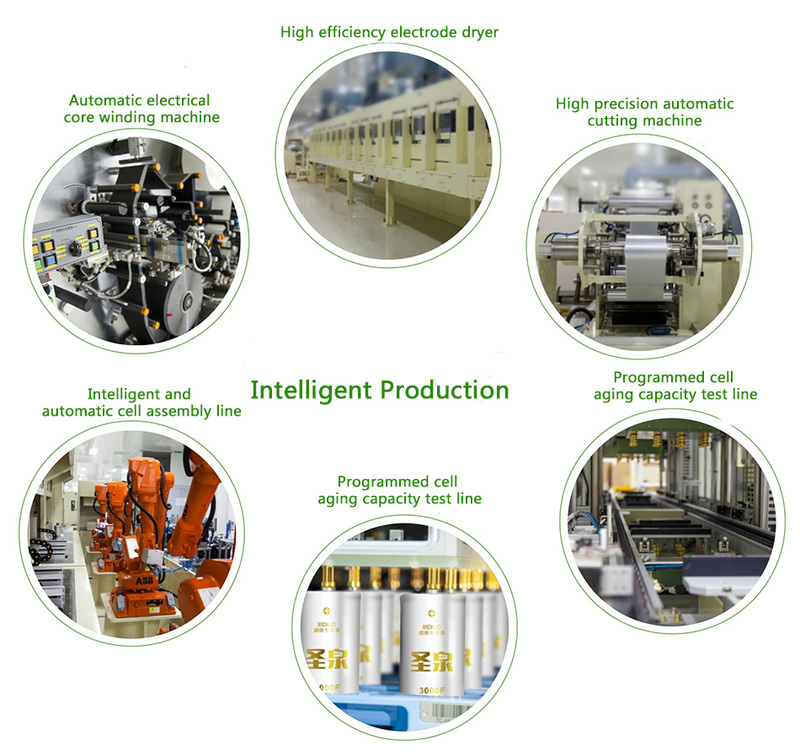 The production line is automatic in winding, electric core assembly, cleaning, forming, aging detection and adopts PACK production line. The equipment precision, environmental control, process detection and control, product testing capability and data management (MES) are first-class among domestic battery manufacturers. The automatic product process detection rate is 80% and has the function of self-adjustment and defect recognition. The key process detection realizes 100% automatic inspection, and the production fully meets with requirements of IATF16949 and national military quality standard system. Main equipments of the project are introduced from Japan and Korea with the most advanced automation. Stacker is adopted in warehouse for system handling, robot is adopted in workshop for intelligent operation, and AGV vehicles are adopted for logistics. The whole production process realizes perfect machine job changing, which makes the process automation above 75%. The automatic production equipment is very high efficiency and less manpowered, which ensures a high product yield, product reliability and consistency.